Also serving Palmer, Wasilla and the surrounding area. For many years, Straightline has handled the pavement maintenance requirements for Anchorage and surrounding areas. 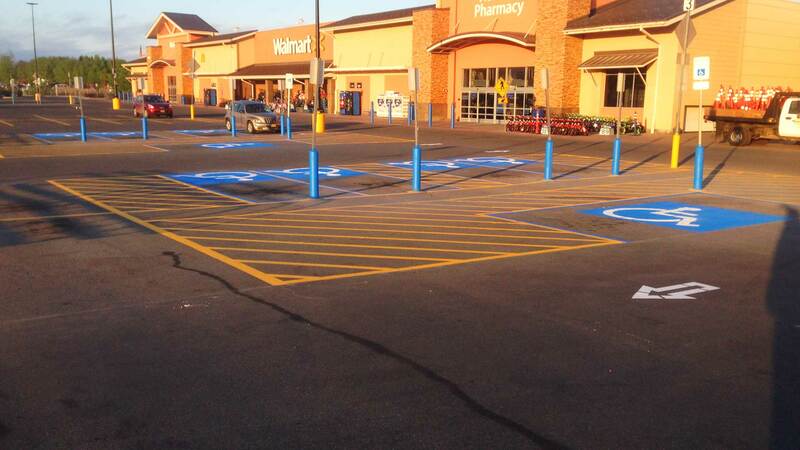 Specializing in crack sealing, sealcoating, pavement marking (striping), and sweeping for commercial and industrial establishments or residential homes, Straightline offers complete and accredited pavement maintenance services for projects both large and small. 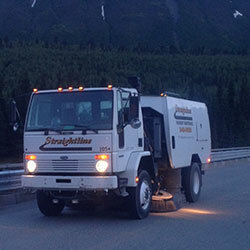 Straightline is an Anchorage pavement maintenance contractor that provides complete commercial and residential pavement maintenance services for asphalt as well as sweeping, powerwashing and snow and ice management. 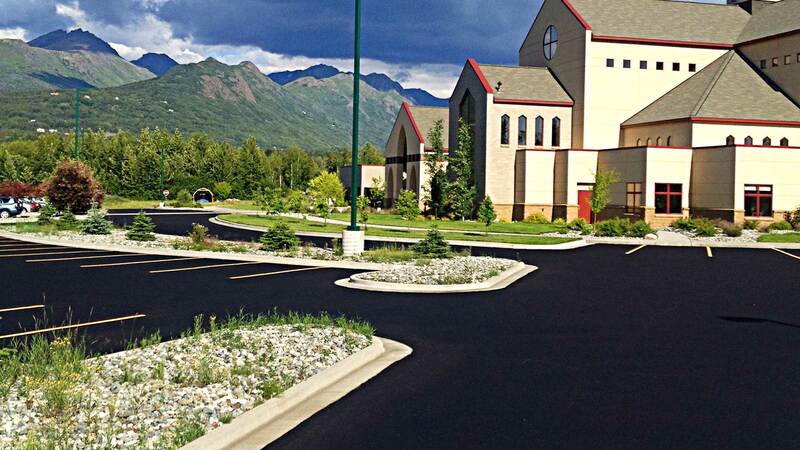 Does your residential driveway or commercial parking lot require the services of an experienced Anchorage pavement maintenance contractor? 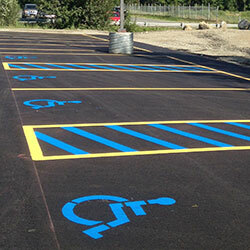 Straightline began in 1999 as a striping and pavement marking company. 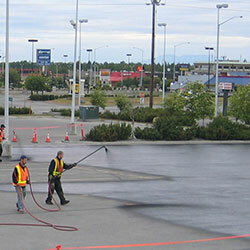 In 2003, cracksealing and sealcoating were added to provide Anchorage customers a full service pavement maintenance solution. 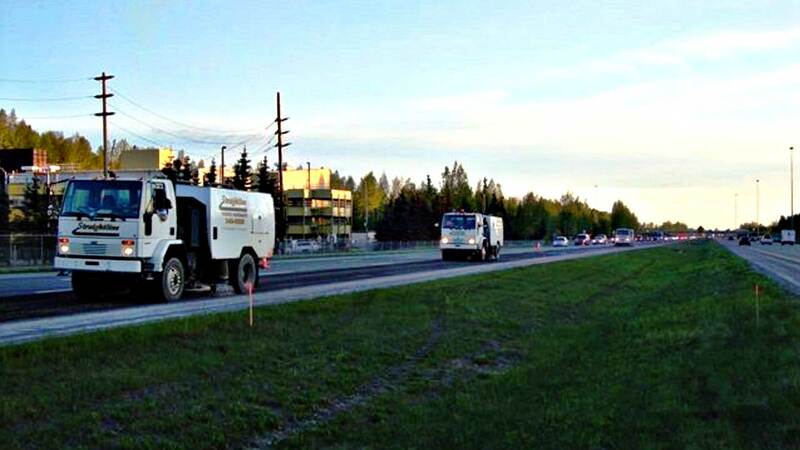 Sweeping, powerwashing and snow removal were added in 2006 to enhance Straightline’s ability to meet Anchorage’s pavement and property maintenance requirements. Up-to-date knowledge of Anchorage regulations, as well as industry standards and best practices. Bonded, insured, and fully licensed, Straightline’s qualified workforce provides skilled expertise and prompt and reliable service. For information on sweeping, cracksealing, sealcoating, striping, power washing, or snow removal estimates in Anchorage, contact our office for a consultation.